April 02: x64 version is available for download! 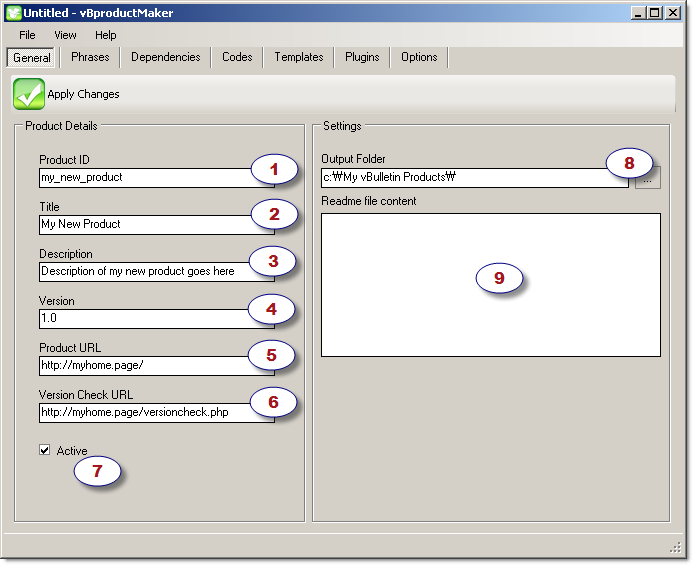 vBProductMaker intended to help vBulletin product developers and make it little easy to manage their products and corresponding components. 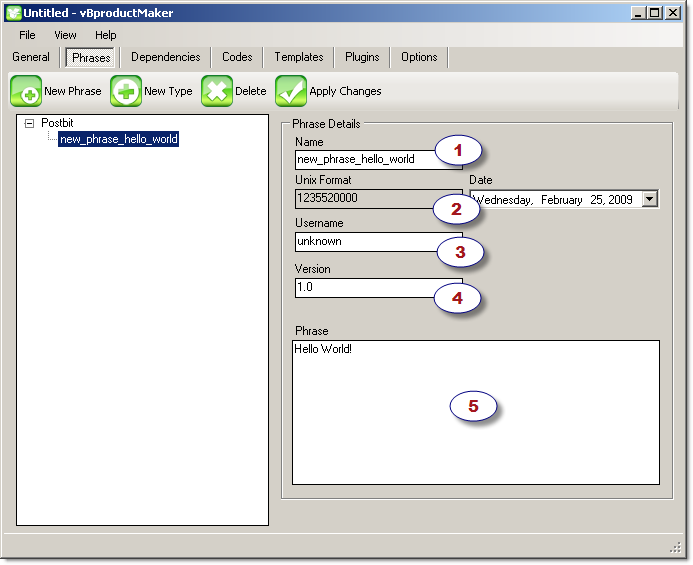 The skill level of users using this tool can vary from novice to advanced web programmers. 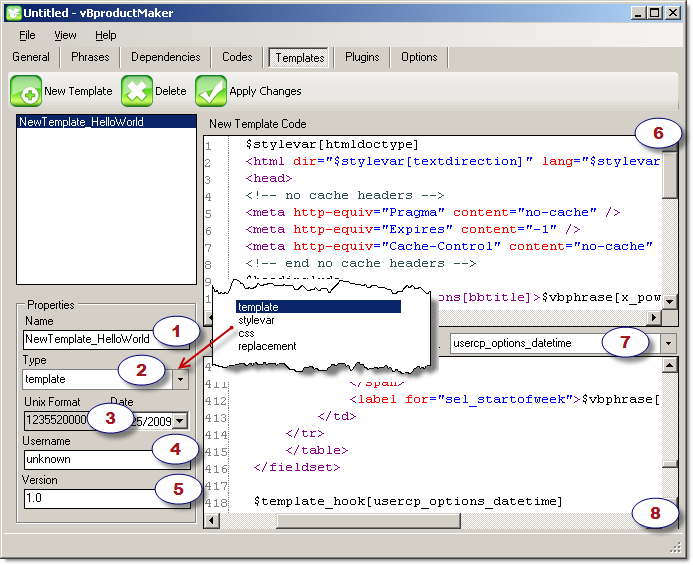 It is combining code editor with syntax coloring, vBulletin-aware management console and XML builder, in order to produce final XML file which can be imported into vBulletin. 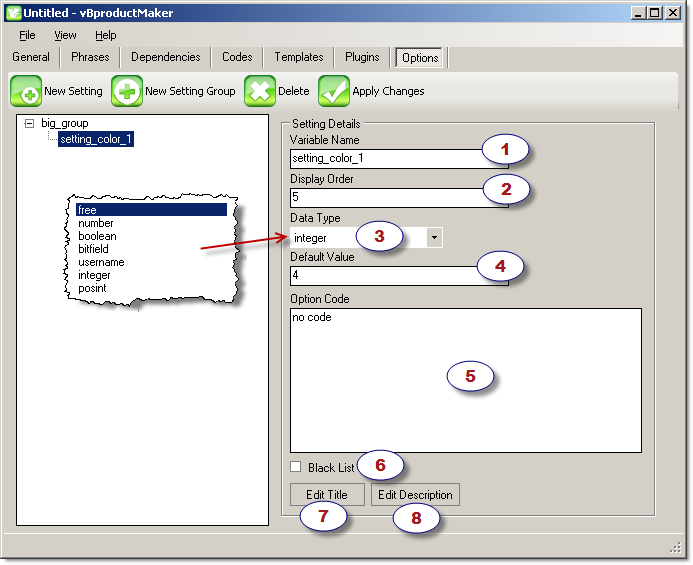 vBProductMaker is using internal file type in order to store and retrieve all information related to your vBulletin product. The file type is defined as .vbu . 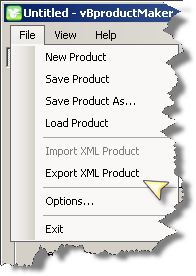 You can save your product as .vbu file and then later load it, modify and finally export to vBulletin XML product. As the help contains most of information one can need, I will show several screenshots below. This is public beta version, feel free to test and report issues. This entry was posted on Wednesday, February 25th, 2009 at 14:11 and is filed under Technical. You can follow any responses to this entry through the RSS 2.0 feed. You can leave a response, or trackback from your own site. Thanks for releasing it. I have downloaded this software. I will give my feedback after using it. i want just say thanks for this great work . and please keep it up . Since vBulletin was taken over my internetbrands and vBulletin 4 was released what are your opinions of the new forum script? 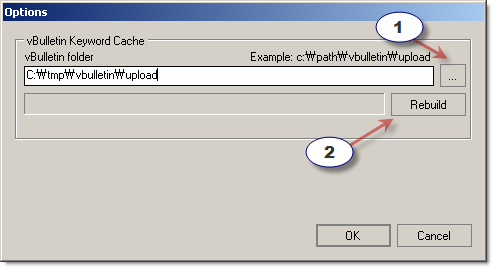 Who prefers vBulletin 4 to vBulletin3 and why? Have you recently been pressured out recently? Do you need to have stress relief tips? If you do, I advocate you this site that speaks about how to reduce stress. After visiting, become familiar with a total deal more! UltraHealth Chiropractic Care – Chiropractic is run by Dr. Ries, D.C. is a licensed chiropractor in Lancaster, PA. Our services include Weight Loss that focuses on muscular pain relief especially spinal rehabilitation for back pain and neck pain. Here in UltraHealth Weight Loss Chiropractor, we do our best to make your quality of living better. Fortunately for residents of Atlanta, GA, and neighboring towns, Instant Auto Title Loans in Atlanta, GA, offers a variety of loans to help people with their financial problems. Our portfolio of loans includes Car Title For Loan, Cash For Car, Loans On Car Title, and Title Car Loans. All of our loans offer no pre payment penalties. Once approved for a loan you will continue to drive your car for the duration of the loan. Hello! I’ve been following your web site for a long time now and finally got the courage to go ahead and give you a shout out from Atascocita Texas! Just wanted to mention keep up the great work!